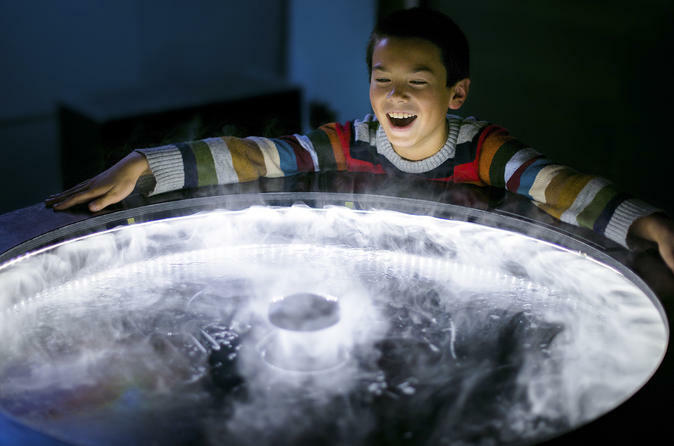 Experience the Exploratorium, a hands-on museum of science, art, and human perception that's dedicated to the excitement of experimentation, the pleasure of discovery, and the power of play. Indulge your curiosity in over 650 exhibits—indoors and out—and explore eye-opening ways to understand the world around you. Don't miss the iconic Tactile Dome, where you can take an interactive excursion in total darkness using your sense of touch as your only guide (be sure to make a reservation in advance). There's also a unique museum store plus two delicious places to eat: the SeaGlass restaurant, which has a stunning Bay view, and the Seismic Joint Cafe. Located at Pier 15 along San Francisco's Embarcadero between Pier 39 and the Ferry Building, the Exploratorium is easy to get to by public transportation plus there's parking nearby. With mobile tickets, skip the line and simply scan your phone for direct entry in the Exploratorium! Kids and adults both will love the Exploratorium in San Francisco! Recently reopened in a new state-of-the-art 9-acre campus, this favorite family attraction boasts a convenient location along the Embarcadero waterfront, between Fisherman’s Wharf and the Ferry Building. Enjoy the vibrant bayside energy of Pier 15, and then head inside the museum with your all-day general admission ticket. Complimentary museum maps are available in English, Spanish, Traditional Chinese, Simplified Chinese, French, German, Portuguese, Korean, and Japanese.